Our firm practices extensively in the First Amendment arena. Thus, it was with great interest that we saw this article on the SCOTUS Blog on U.S. Supreme Court nominee Neil Gorsuch’s First Amendment jurisprudence. 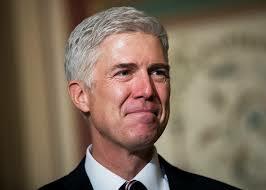 In many ways, Gorsuch’s opinions in this area are similar to those of the late Justice Antonin Scalia – with the possible exception that Gorsuch has been more willing to find not only that the First Amendment has been violated, but also that defendants were not entitled to qualified immunity in those cases. It appears the First Amendment will continue to have solid backing from SCOTUS with Justice Gorsuch on the Court.